Thanks for the 99c Sale! 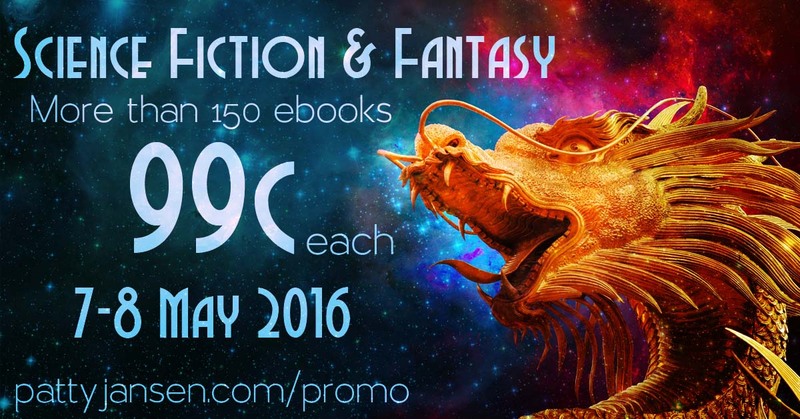 Just a quick thank you for your support of the Giant 99c Libertarian Fiction Sale. You purchased more than 120 books from my 10 fellow authors and myself. It was a great success. Thanks also to Tom Woods and Liberty.me for their support. I woke up Tuesday morning to discover that my dystopian science fiction novella Death Shop is nominated for the 2016 eFestival of Words Best of the Independent eBook Awards. Now, I swear, this is not one of those things that I found in my spam folder, “Just $50 and You Too Can be an Award-Winning Author!” Really, I swear. It was about this time of year almost exactly one decade ago. 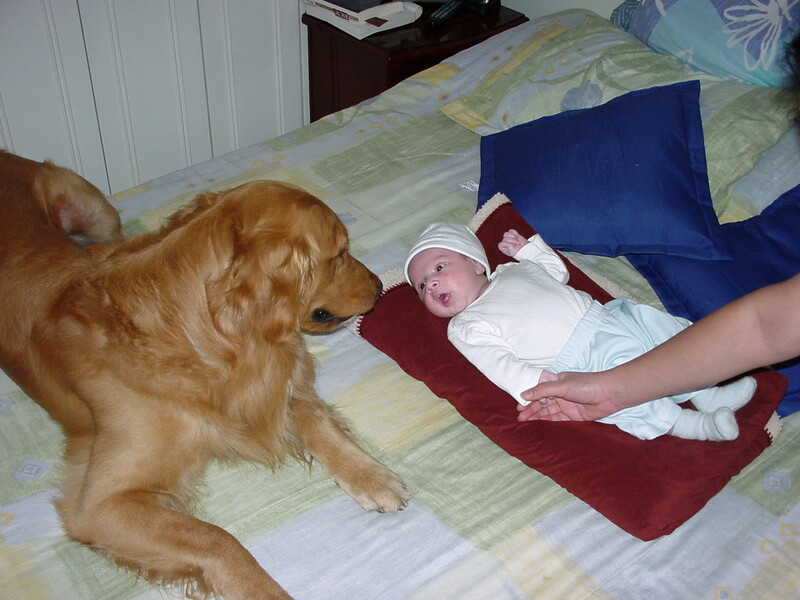 My son, Clark, was just a month old, and my golden retriever, Simon, jumped up on the bed next to him. Simon, just three years old at the time, had to see the baby. He wasn’t usually allowed on the bed, but with camera in hand, I made an exception. And I got this excellent shot. 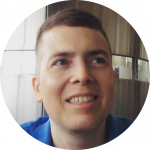 You’ve presented me with a great gift – new reviews! As an INTJ, emotion figures little in my calculations. I try, but it just doesn’t compute. But this outpouring of support is melting even my titanium heart. Thanks! 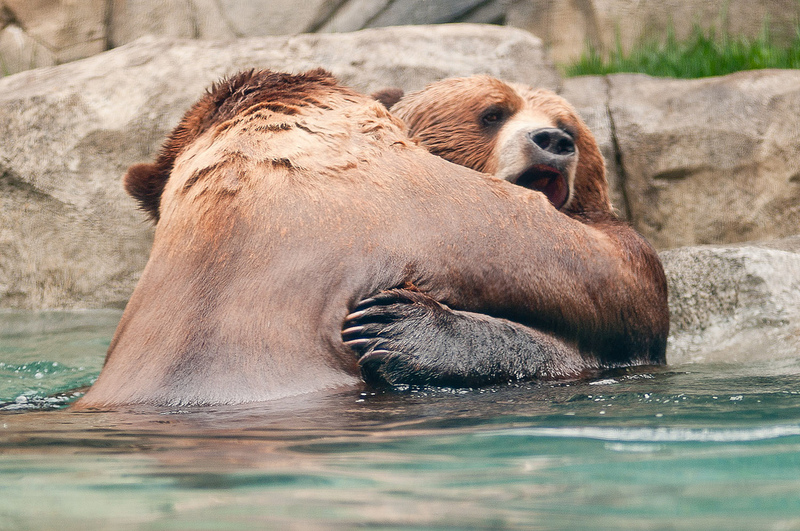 Have a virtual bear hug from me to you. 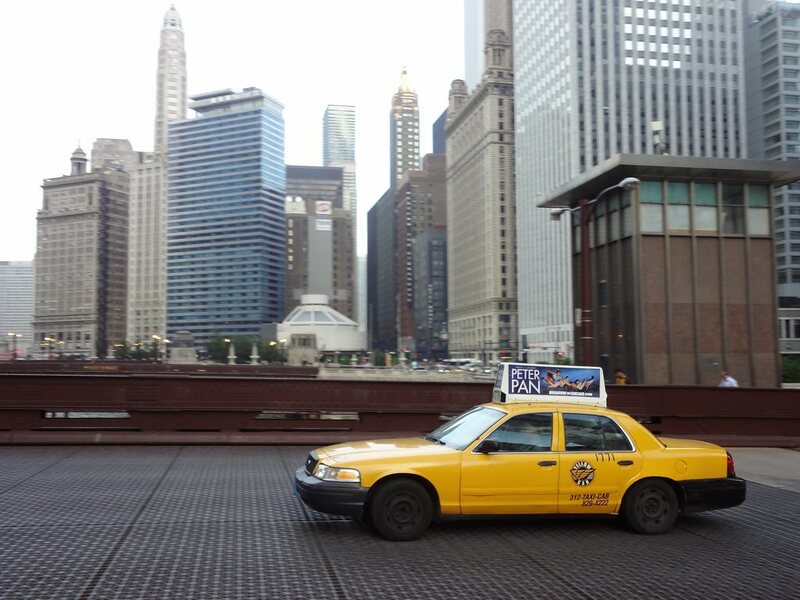 From 1994-1997, I drove a Chicago cab. It was the perfect complement to a University of Chicago education. I freelanced for a large corporation, I saw the seedy underbelly of the Loop and I rubbed elbows with hardworking immigrants from two dozen different countries. One thing I learned quickly is that white cabdrivers were rare. So I wrote a poem about it (back in 1997). Here you go. What Good Stories Have You Read Lately? Right now, I’m reading a paper copy of the Tao Te Ching (and loving it). On my kindle, I’ve got these books open: Brave New World (kind of dense), Thus Spake Zarathustra (good stuff), The Poetic Edda (I’m working on a novel concept related to Norse mythology), The Mammoth Book of Golden Age Science Fiction (edited by Isaac Asimov), The Art of Worldly Wisdom by Baltasar Gracián and The Shadow Factory: The Ultra-Secret NSA from 9/11 to the Eavesdropping on America.